Auction result: The 1969 Lola T70 Le Mans film car remains unsold. Press Release for the Sixth Annual Friends of Steve McQueen Car and Motorcycle Show 2013. 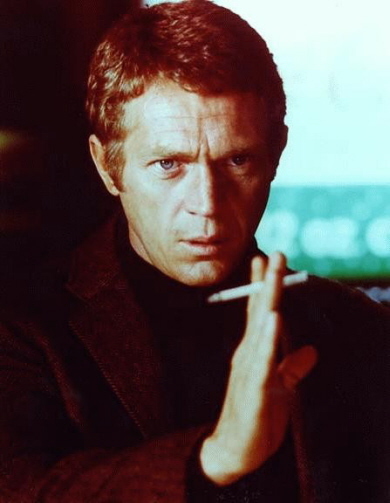 Article titled "The Spiritual Journey of Steve McQueen." Steve McQueen's 1951 Chevrolet Styleline De Luxe Convertible to be sold at auction. More here. Article on the 50th Anniversary of The Great Escape. Record breaking 11 million dollars paid at auction for the Le Mans Gulf GT40. More here. Original Heuer Monaco watch worn by Steve McQueen in "Le Mans" sells for $799,500 at auction. Site went online 3/97, becoming the first McQueen website on the Internet. If you have any information, comments, or photos which could help this site, please write stvmcqueen@yahoo.com. © 1997-2013 by Chris Lambos.